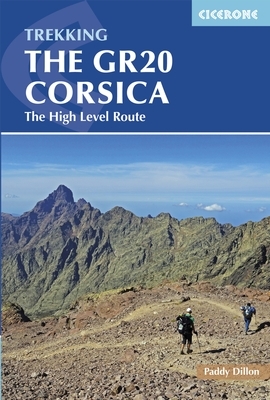 What shoes should I take to do the GR20? The single most important equipment choice you make before leaving has got to be the choice of shoes. It is amazing how many people come with an old pair of boots with the idea of just getting one more holiday out of them. This is a false economy, it takes a fair sum of money to do the GR, so why spoil the experience by walking with duck tape and string to hold together your shoes. Your shoes will take a bashing, mainly due to the rocky terrain and the fact that you are rarely walking on the flat. I would recommend that your shoes are always a size bigger than your regular shoes. Even if you are sure they won't give you any blisters, come prepared with some compeed and elastoplast in your bag. There is such a huge range of shoes available today, the best advise is to choose a model that you are used to and comfortable with. Do not try something new out! Make sure you have excellent grip on the soles. I noticed that a lot of the guides were wearing very light weight trail shoes in the height of the summer. However, guides have good ankle strength and on the whole they had the added security of walking with two trail poles. When questioned, they said the ultra models were very light and had great grip but they didn't last very long. After 3-4 weeks of walking, every day, the sole gets worn smooth and start to slip. You need to have good quality socks, most people choose cotton because in the heat, your feet can get extremely hot and swollen. So I would avoid thick wooly options. It is good to let your feet breathe in the evenings, get them dry and into a pair of comfortable Teva's.